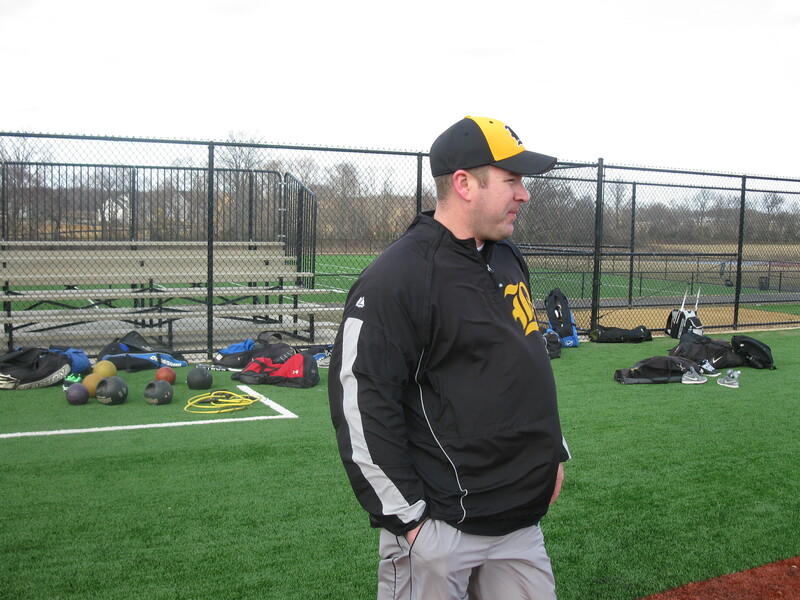 Chris Glenn has quietly been sitting on the sidelines as an assistant baseball coach and teacher at Bordentown Regional High School for the better part of 13 years now, including nine years as former head coach Joe Sprague’s assistant. But, through all the years, Glenn has never complained about not getting a chance to be the head coach of the varsity team. When Sprague stepped down as the head coach at the end of last season to accept a promotion as the assistant principal in charge of athletics in the Bordentown Regional School District, Glenn’s patience finally paid off. Sprague’s promotion put him in a position to help decide who his successor would be, and Glenn’s name was at the top of his list. Glenn began his baseball career at age 8, playing little league in Somerdale and eventually for Sterling High School and The College of New Jersey. After graduating from TCNJ, Glenn wasted no time finding a job coaching baseball when he signed on as the assistant coach at Bordentown at the age of 22. Now in his 13th season with the Scotties, Glenn can call himself a head coach. The shiny new title comes with its own set of challenges, like replacing Bordentown’s top two arms. The Scotties will be without their top two starters from last year, Joey Gutowski and Scott Gorish, who were lost to graduation and now playing at Burlington County College. The duo accounted for over half of the Scotties 2011 wins, including a first-round playoff win. Bordentown will count on Austin Chaszar to step-up this year on the mound. He did some pitching last year as a freshman, and Glenn said he is really looking for him to be the team’s big game pitcher. At the plate, Glenn will be turning to three-year starter Cullen Carter, who is only a junior, to ignite the Scotties’ offense. Glenn understands the Scotties are going to need more than Chaszar and Carter to show up this year in order for the Scotties to succeed, and is counting heavily on the rest of his young but experienced line-up. Bordentown returns a majority of their starters from last year’s playoff team, including Justin Conover (Sr. – 1B), Drew Pedersen (Sr. – OF, P), Taylor Zackmann (Sr. – OF), Austin Papp (Jr. – SS), Tommy Walters (So. – 2B, OF) and Gerald Conover (Sr. – DH). Helping Glenn develop and manage all of the talent are assistants Ernie Covington, Brian Guire and former Hamilton High West standout Mike Oliver. Optimistically, Glenn believes his team is capable of capturing the Patriot Division title, in a division that features Holy Cross, Delran and Cinnaminson. However, realistically, Glenn does understand that the young Scotties may be a year out from achieving all of the goals he set for them. The Bordentown community has a rich history when it comes baseball. Dating back to the 1970s, Bordentown has produced players such as former MLB player Cameron Drew and Carpenter Cup champion Brian Raynor, executives like current Trenton Thunder Vice President of Operations Ryan Crammer, and champions like the 2007 District 12 Little League Champions. Glenn and his staff hope to add to the tradition that is Bordentown baseball.